In a perfect world, both babies would nap every day at the same time. But more often than not when Lydia wakes up from her nap, Tex is still asleep so I need to keep her quiet. Have you ever tried keeping a two-year-old quiet? This Springtime Busy Box was my answer! In all honesty, when I taught Pre-K and Kindergarten I hated our sensory bins. They were always messy, the kids fought over them, and, umm, germ city!!! BUT, as an early childhood educator, I do understand their importance. 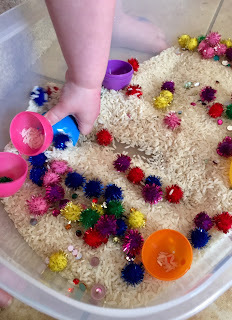 Sensory bins provide small motor practice; pinching, scooping, squishing etc. They're also great for scientific exploration. Children can experiment with different weights, textures, and sounds. Lydia really enjoyed scooping up this mixture with the eggs, snapping the eggs together, and then shaking them to see what noise it made! 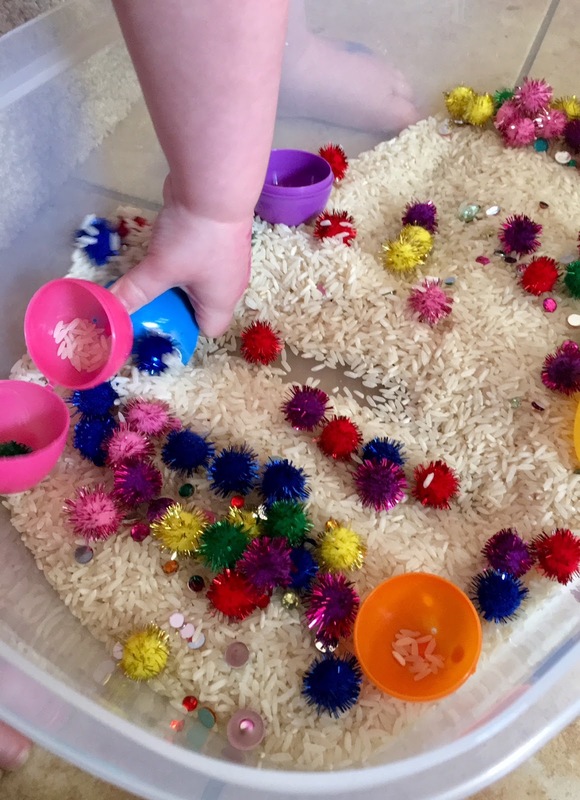 The puffballs make a quiet noise whereas if she scooped more rice or "sparkles" it made a louder noise. 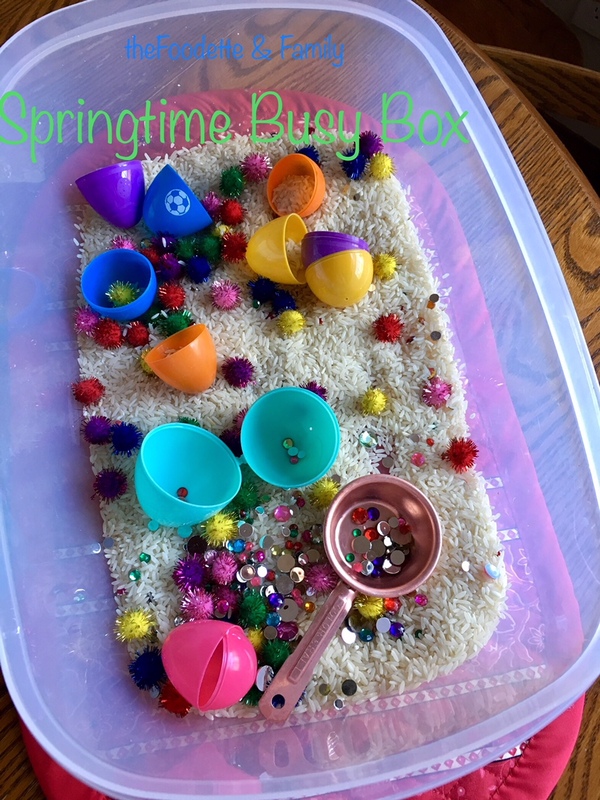 Sensory bins engage the child's sense of touch, smell, sight, sound, and... let's be honest, sometimes taste. We are also going to use our Busy Box to learn the letters of her name, reinforce colors, and practice matching! NOTE: Use what is safe for your child. Lydia doesn't put things in her mouth and never really has so I know these materials, though small, are safe for her. Always supervise your child during play! What would you use for your Busy Box?